Deer Stalking in Scotland contributes massively to the Scottish economy bringing in well over £105 million each year it also supports over 2500 full time jobs and helps maintain local land for farming and agricultural uses. The most iconic species is the Red Stag, a very illusive and majestic creature. With an estimated 400,000 Red Deer in Scotland claiming a trophy is a lot harder than you may think, it takes patience, determination and a very experienced guide to help track, position and advice you on when and where to take the shot. Scotland also has an abundance of Roe Deer, Fallow Deer and Sika Deer that can be stalked at certain times in the year. With access to some of the most exclusive shooting estates in Scotland we at Game Sport Scotland can guarantee you will have one of the most enjoyable shooting holidays of your life whether you are a novice or a seasoned expert we cater for all. 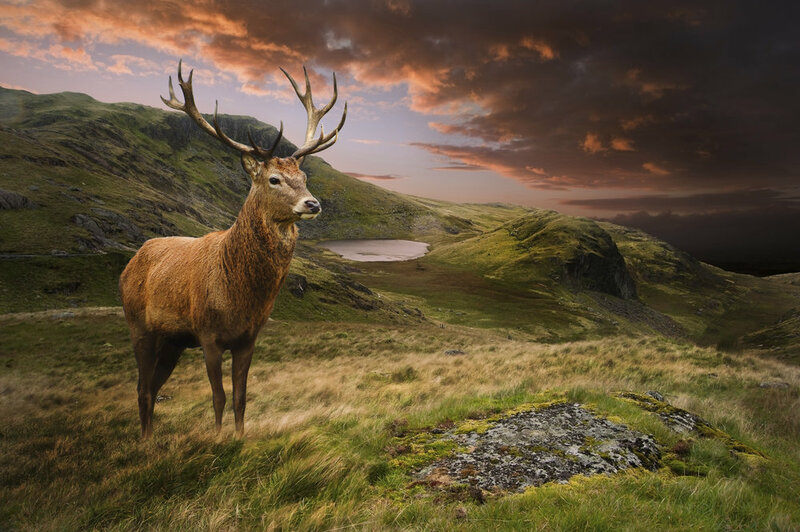 Game Sport Scotland can arrange all the necessary paper work and licenses that are required for Deer Stalking in Scotland or please click here for more information.